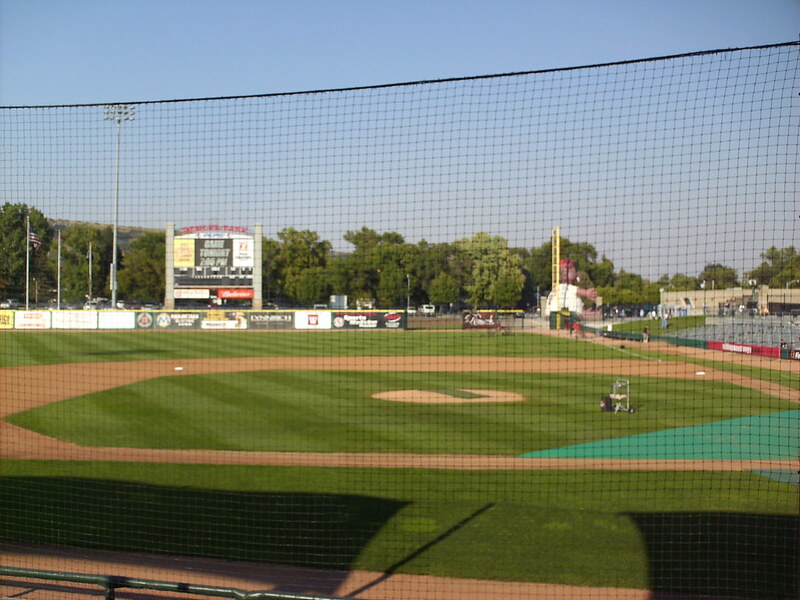 The view from behind home plate at Dehler Park. 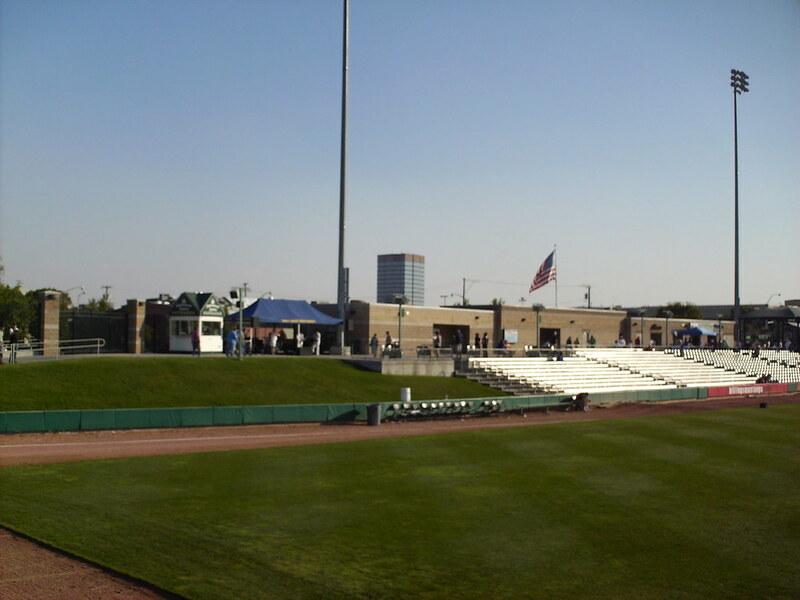 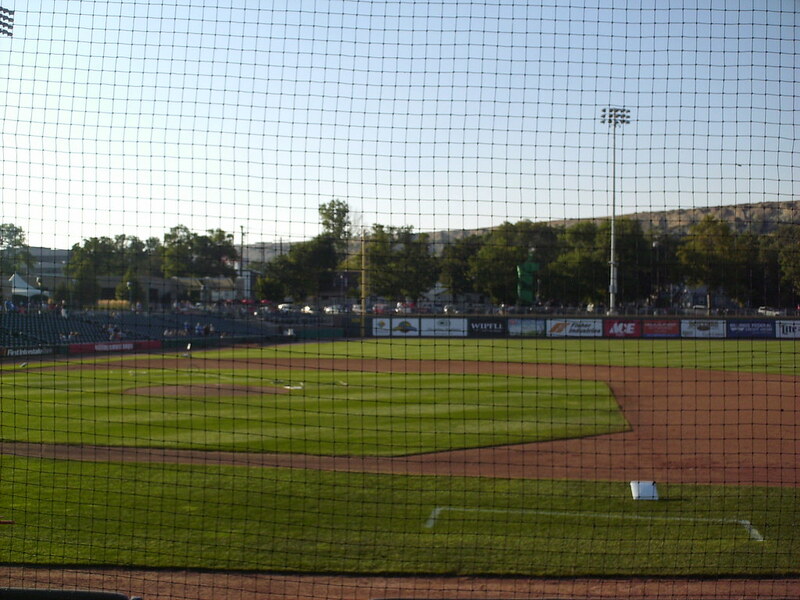 The grandstand at Dehler Park, with downtown Billings behind it, as seen from center field. 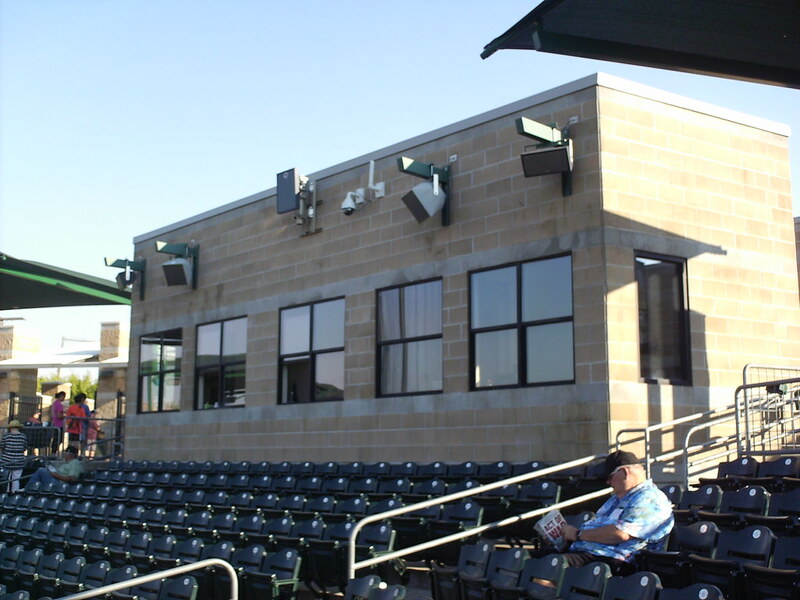 The pressbox sits at the top of the seating bowl behind home plate. 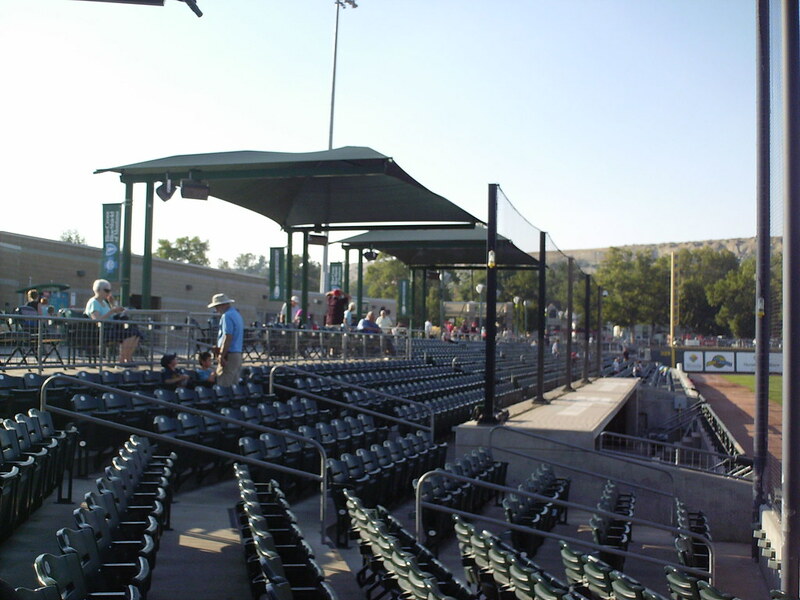 Elevated sun shades cover the grandstands at Dehler Park. 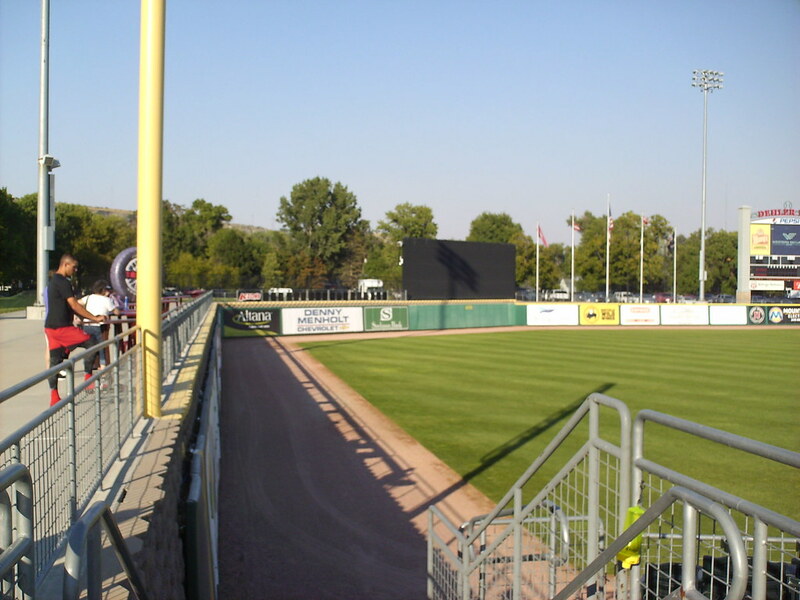 Aluminum bleachers and a grass berm at the third base of the grandstand. 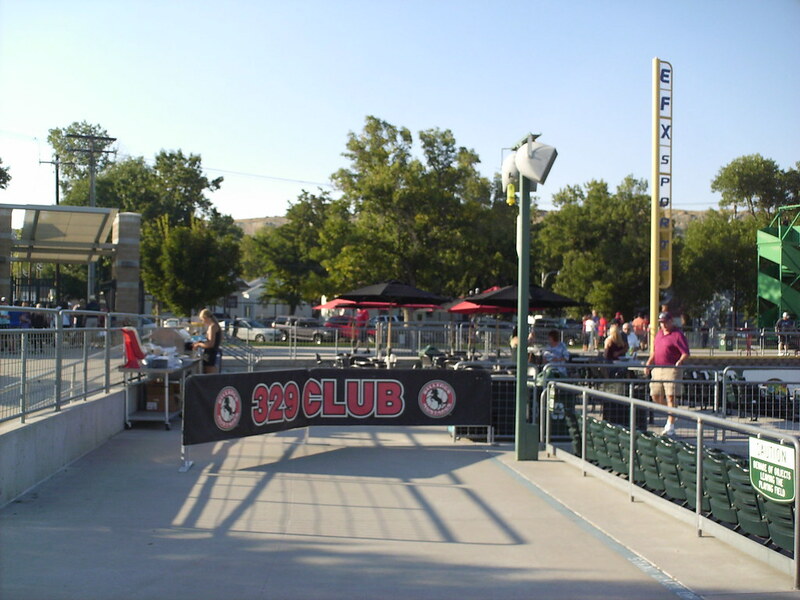 A party deck with picnic table seating wraps around the right field foul pole. 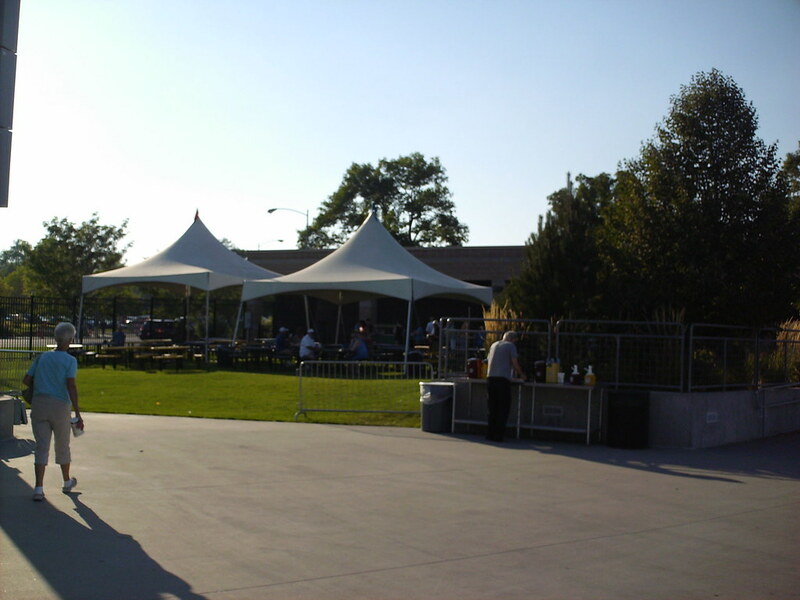 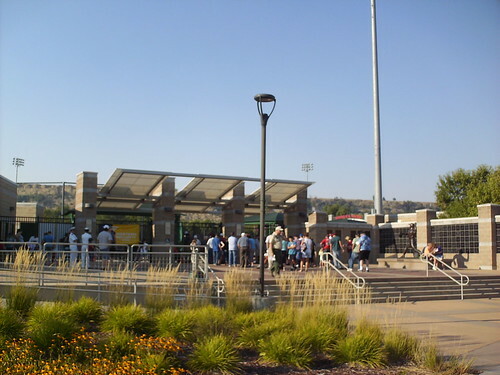 A small grassy area with tents for groups sits on a hill behind the concourse on the first base side. 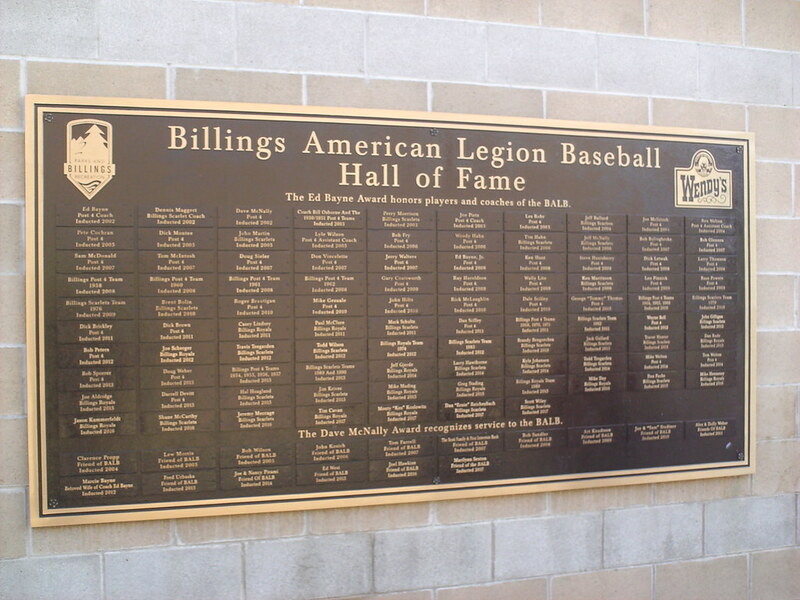 A plaque on the concourse celebrates Billings' American Legion Baseball Hall of Fame. 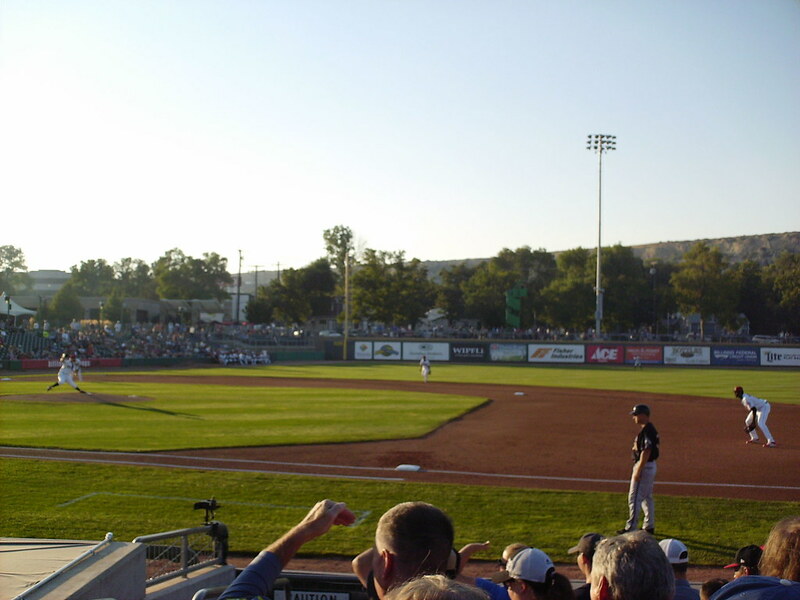 The Mustangs share the park with Legion teams, which are a big part of Montana sports culture. 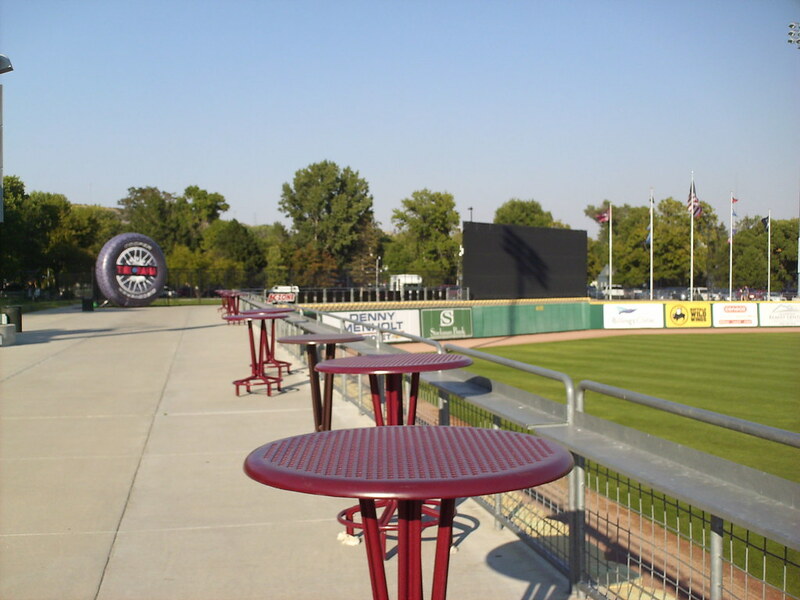 Dehler Park features a wraparound concourse, with tables and drink rails lining the outfield wall. 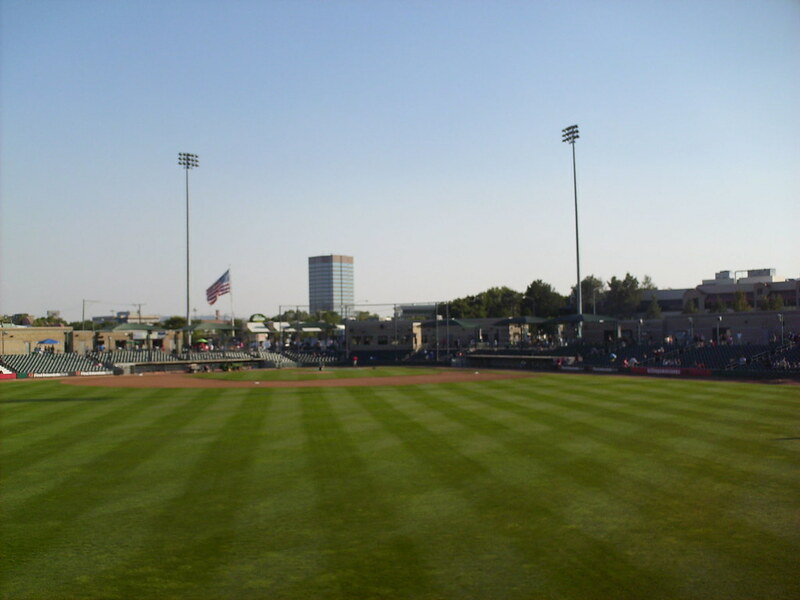 The outfield fence features several sharp corners as it wraps around the field. 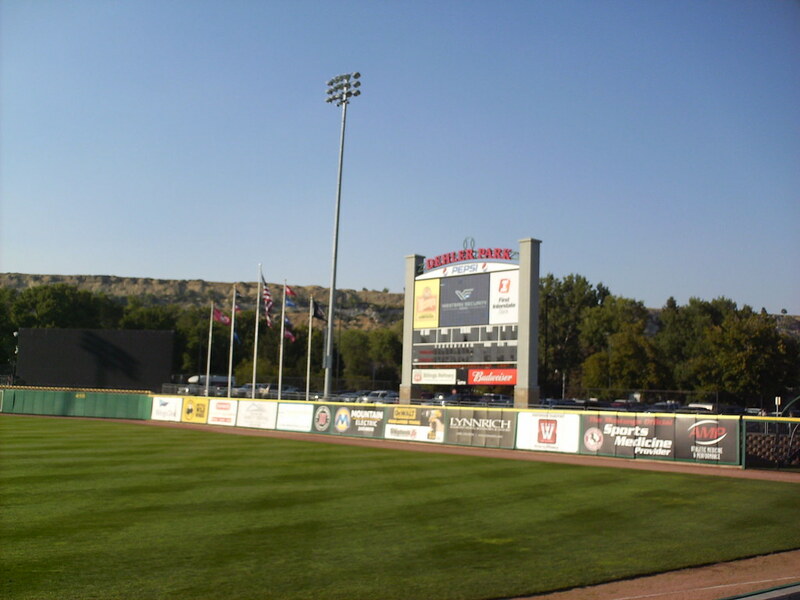 The scoreboard in left field, with the rim rocks of Billings beyond the outfield. 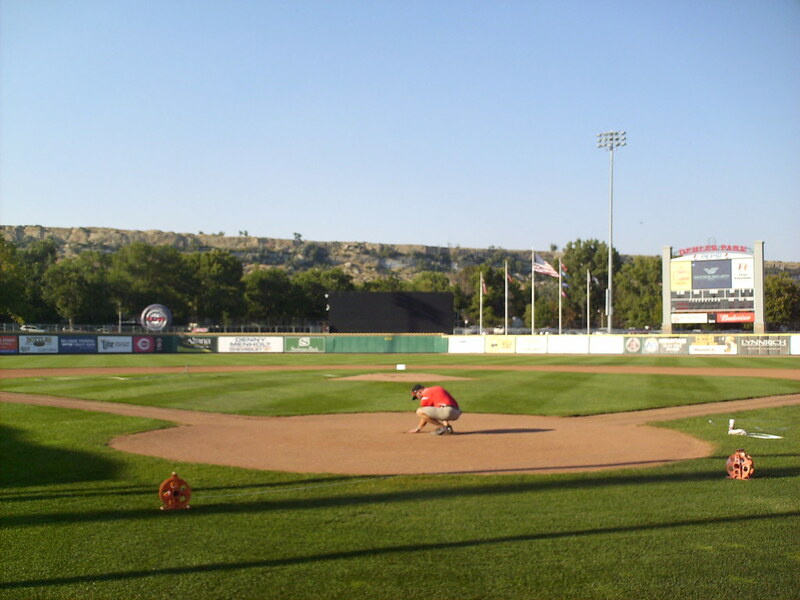 The Billings Mustangs on the field during a game at Dehler Park.